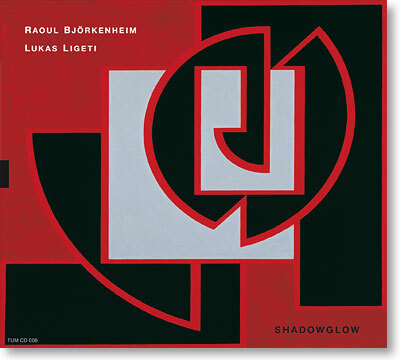 Shadowglow is an improvised musical interplay between guitarist Raoul Björkenheim and drummer Lukas Ligeti. The Raoul Björkenheim & Lukas Ligeti Duo includes two long-time residents of New York, who share European roots and a mutual interest in the musics of the world. References to Asian, African and European indigenous musical styles and rhythmic patterns can easily be detected on Shadowglow. Still, above all, this recording is a celebration of free improvisation by two highly compatible musicians who know each other well. Shadowglow was recorded and mixed in 2003 at Bill Laswell´s studios with Robert Musso as the recording engineer. Musso is also known as the leader of the now-defunct group Machine Gun as well as his many solo projects as a guitarist and composer.